URGENT ANNOUNCEMENT! 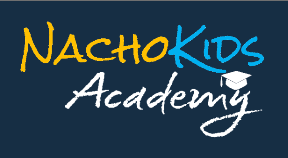 Nacho Kids Academy is here!! If you are ready to get serious about changing your blended family mess into success, and to save your sanity and marriage, now is the time to join! In the Academy, we teach you how to properly nacho, we walk alongside your journey with you and we teach you crucial tools to lower your stress in the blend, which in turn creates the opportunity to better the relationships in the blend, and save your sanity and marriage! And many other things we have upcoming this year! Your success is our goal! Don’t be afraid. 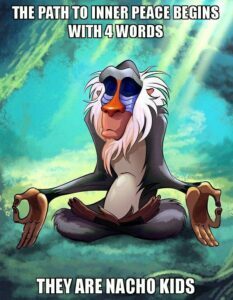 There is NOTHING to lose and so much to gain. Join now by clicking HERE, look around and stay for a few weeks (so you can see some of the new courses), then if you realize it’s not for you, you get a full refund. Nothing to lose. P.S. The launch discount of 50% off monthly membership is only available until Sunday, September 23 at 8:00 P.M. EST and this membership rate will NEVER be offered again. EVER. And the price you come in is your special price for as long as you are a member. Your monthly cost will never increase and you can cancel your membership at any time!